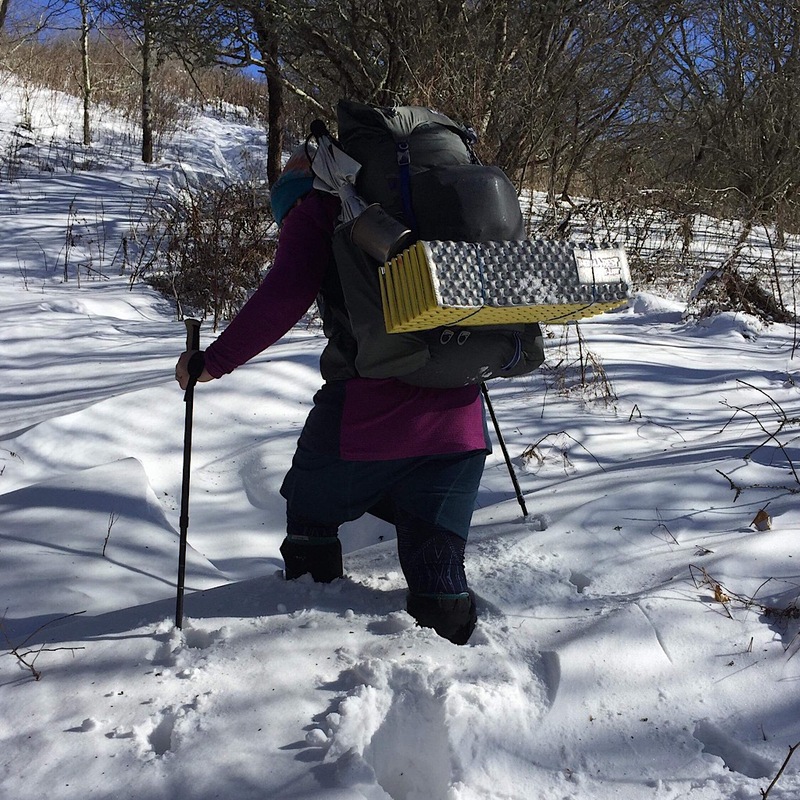 In the case of Redline Guide Arlette “Apple Pie” Laan, we really mean Guide’s Winter Off. 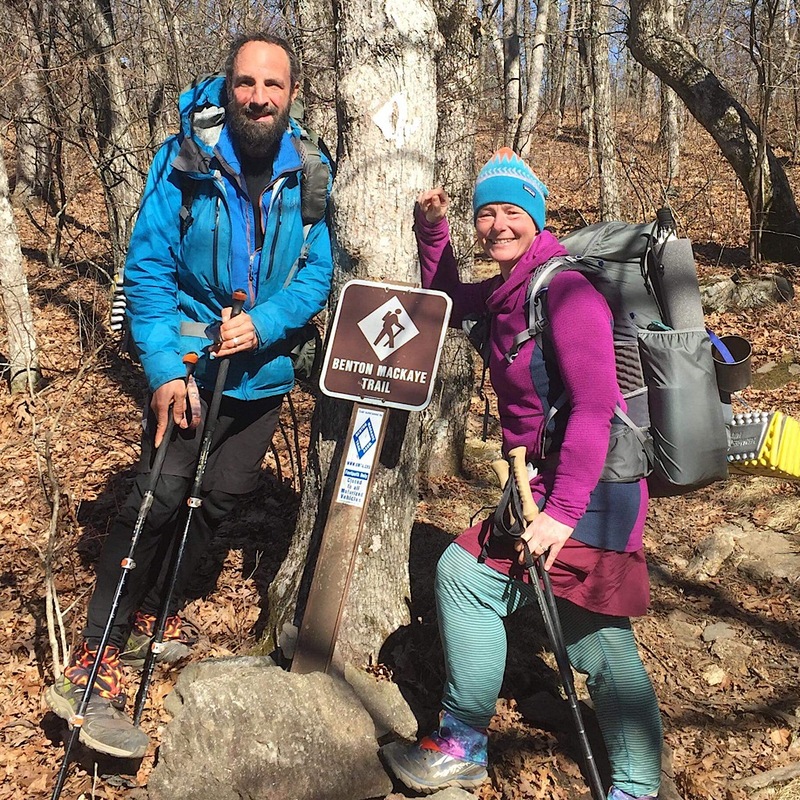 In typical fashion, Arlette spent the winter crushing big miles with her husband, Rich “Greenleaf” Gambale. 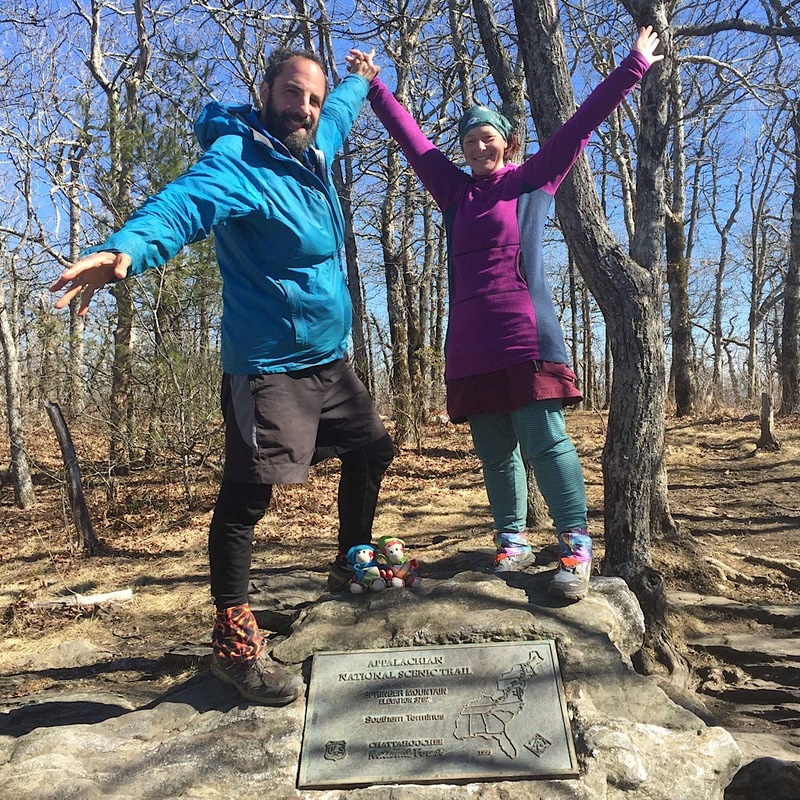 Specifically, from December 31st, 2017, to February 28th, 2018, the husband-wife thru-hikers clocked about 850 miles during two back-to-back hikes. 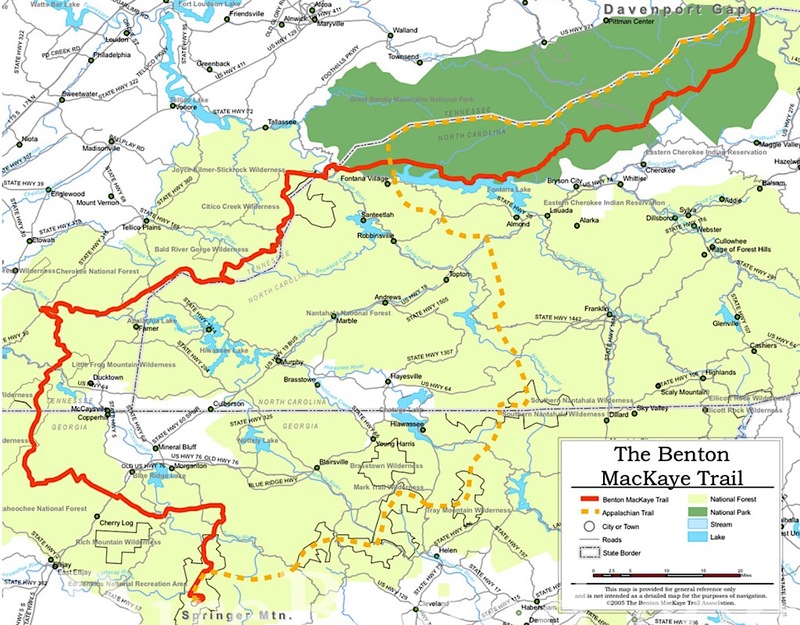 The first was Benton-MacKaye Trail, a 550 mile figure-eight involving part of the AT (see map, below). 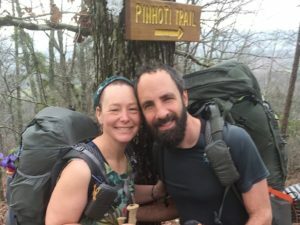 Next up was the Pinhoti Trail at 300+ miles. 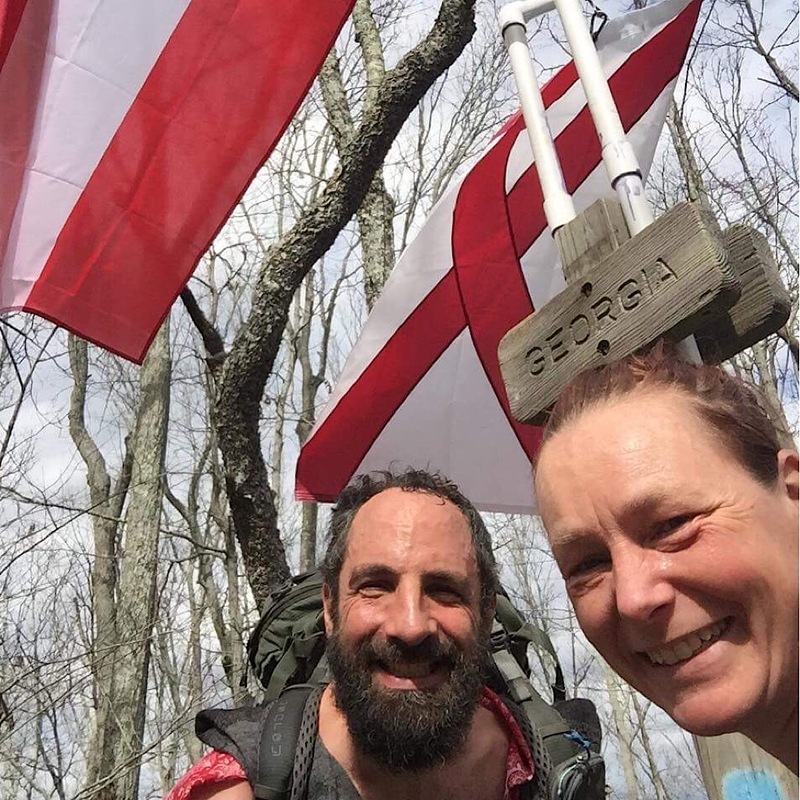 One might think, especially a norther, that they had it easy in the south, and maybe that’s true on some days, but during this time they experienced wide-ranging and challenging conditions. 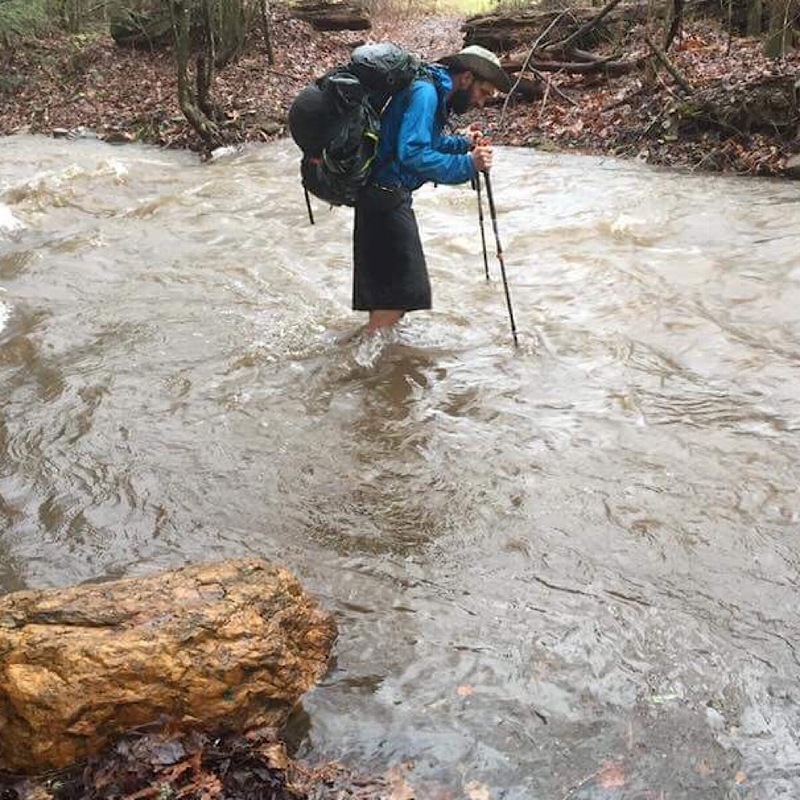 From snow, to high heat, even a little flooding thrown in, the South’s not as tame as one may think. 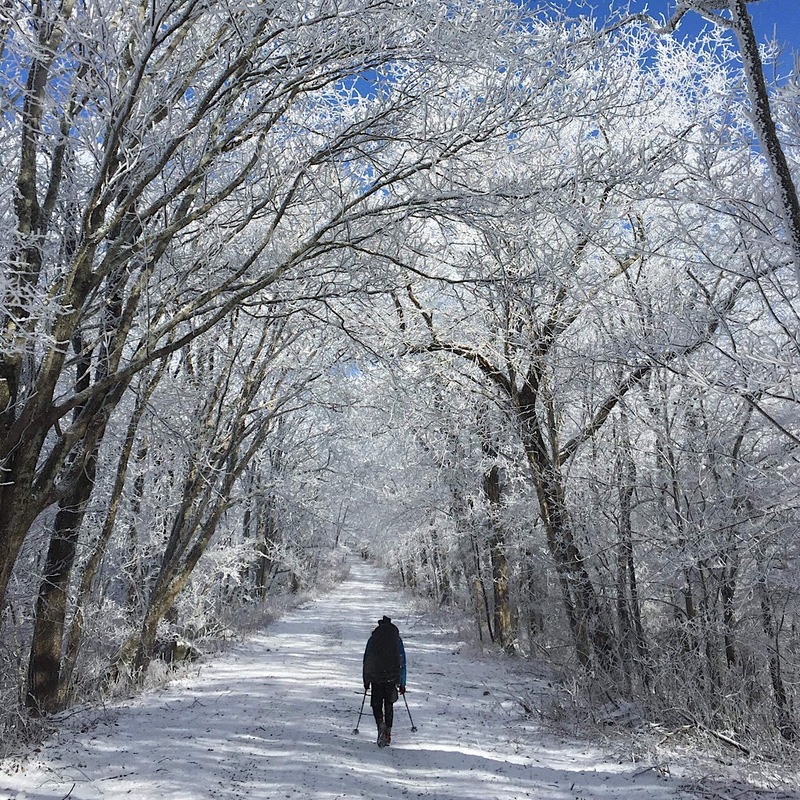 Temperatures ranged from a low 4°F on the Benton-MacKaye Trail to a what probably felt like a blistering 80°F while on the Pinhoti Trail. High water ford. 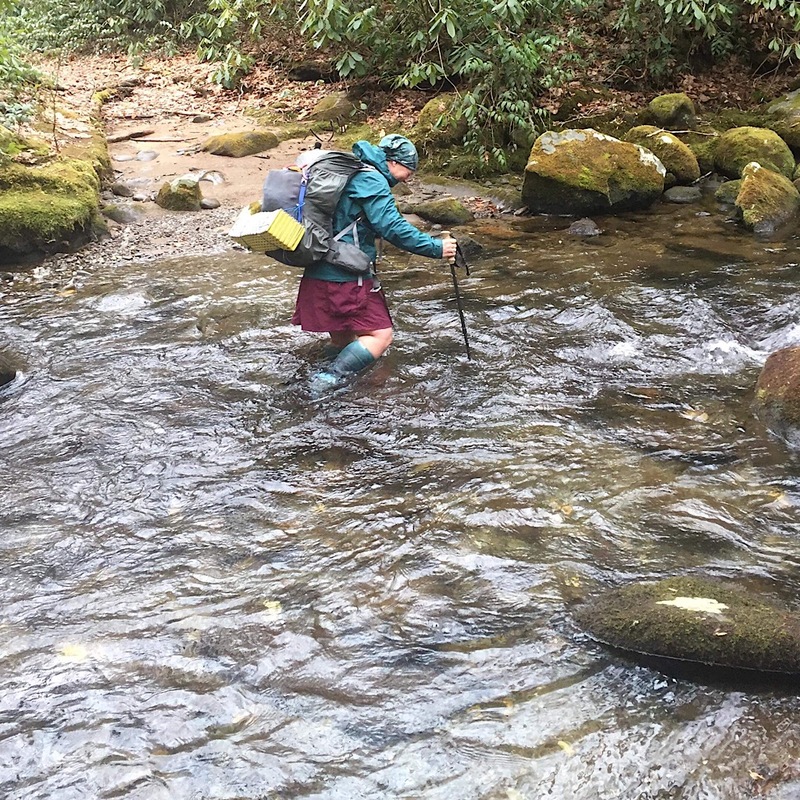 Rich using some of those River Crossing Skills. 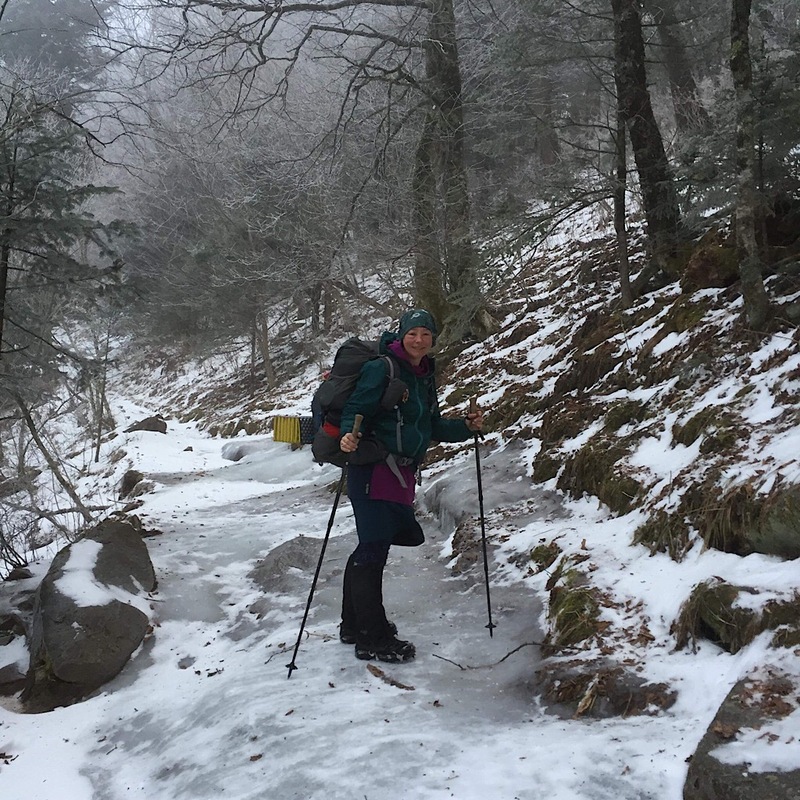 Tricky crossings in ice cold water. 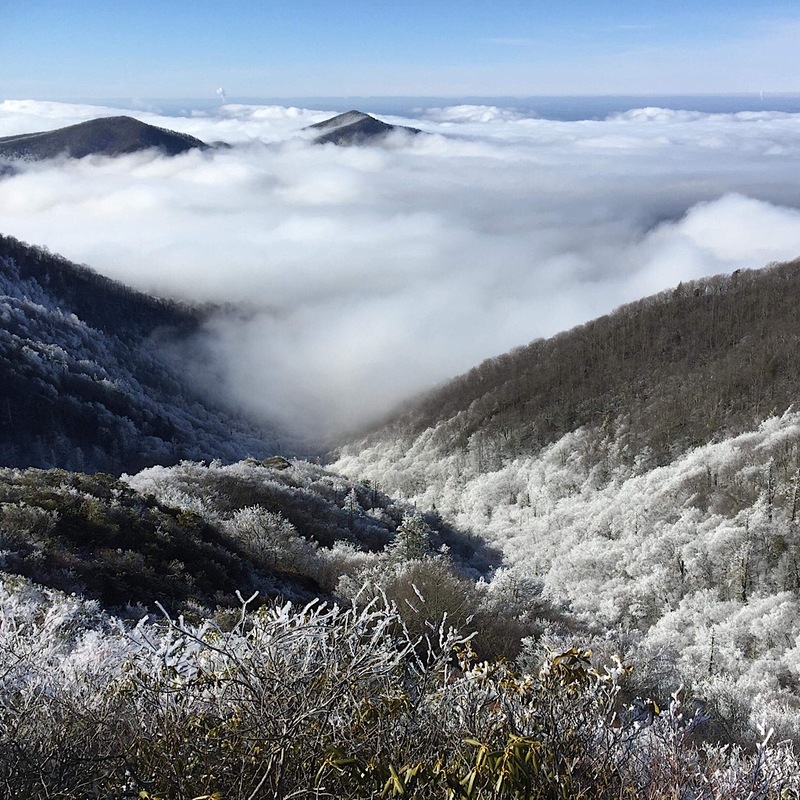 Stunning vista along the Benton-MacKaye Trail. Rich with his newspaper, like any other morning. Okay, maybe not. It’s actually a map. Heat wave time! Y’all come back now, ya hear. Obviously headed north. Testing their resolve. 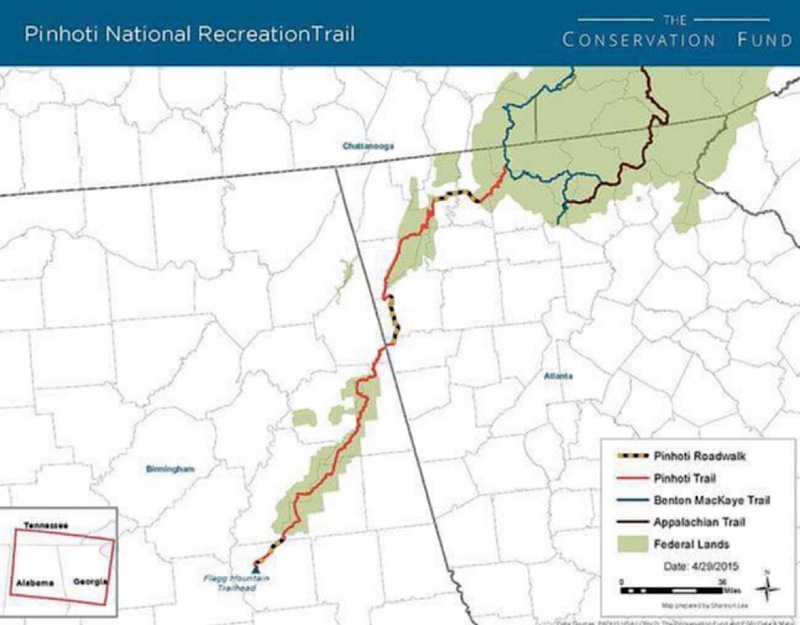 On the AT. Been here, done that. Hey, where is everyone?! We find it exciting that Arlette spends her winters this way. We’re a little envious. 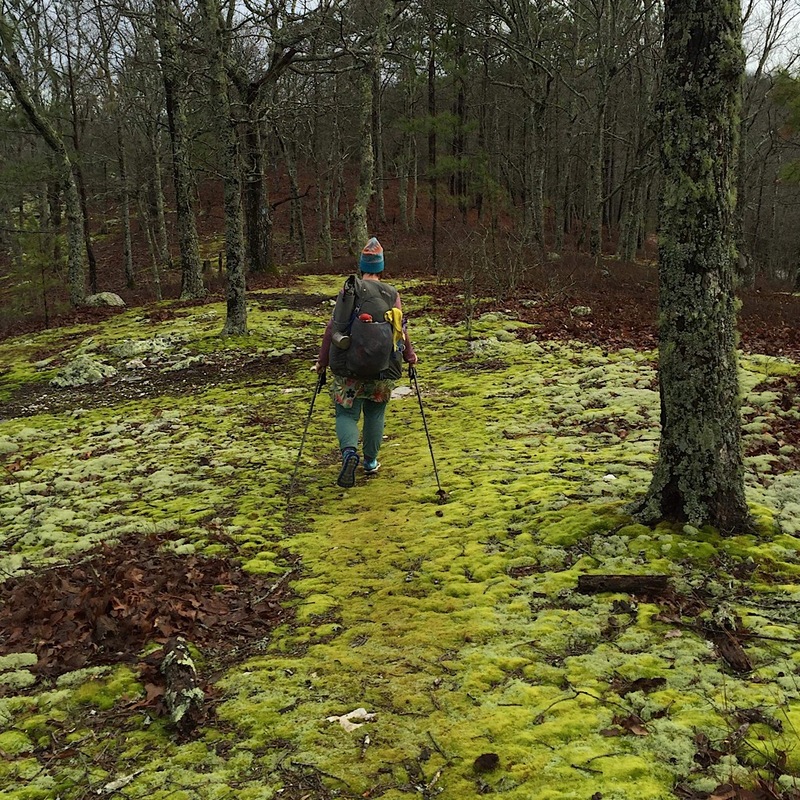 There’s a real sense of freedom to thru-hiking that is hard to describe. It’s an illusion, by and large, we never really escape life’s grip. We must “adult” to survive nowadays. 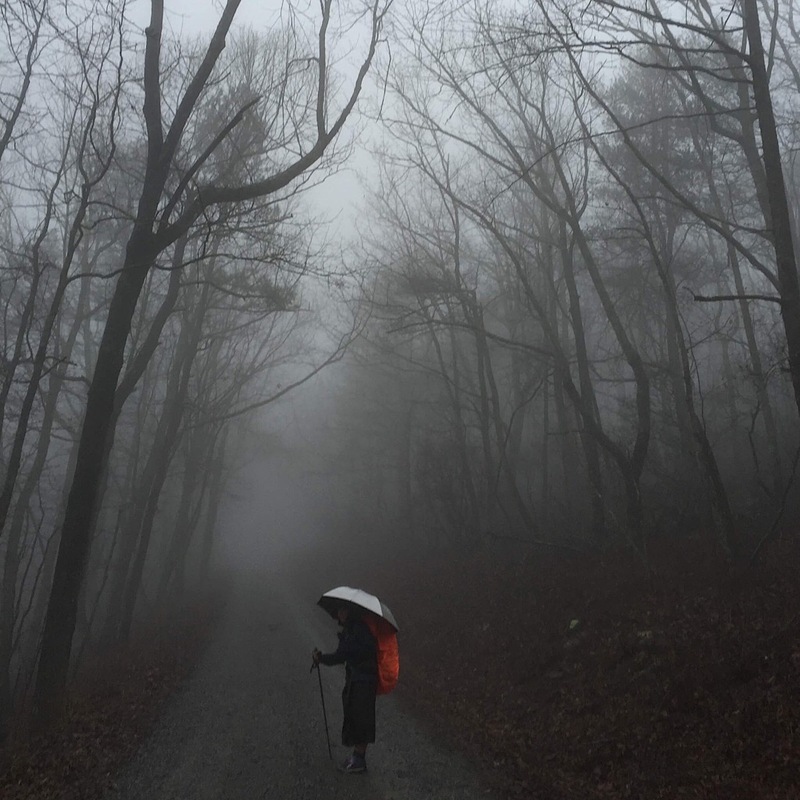 But for a while, since we plan ahead so carefully, the illusion and sense of freedom is deliciously real. 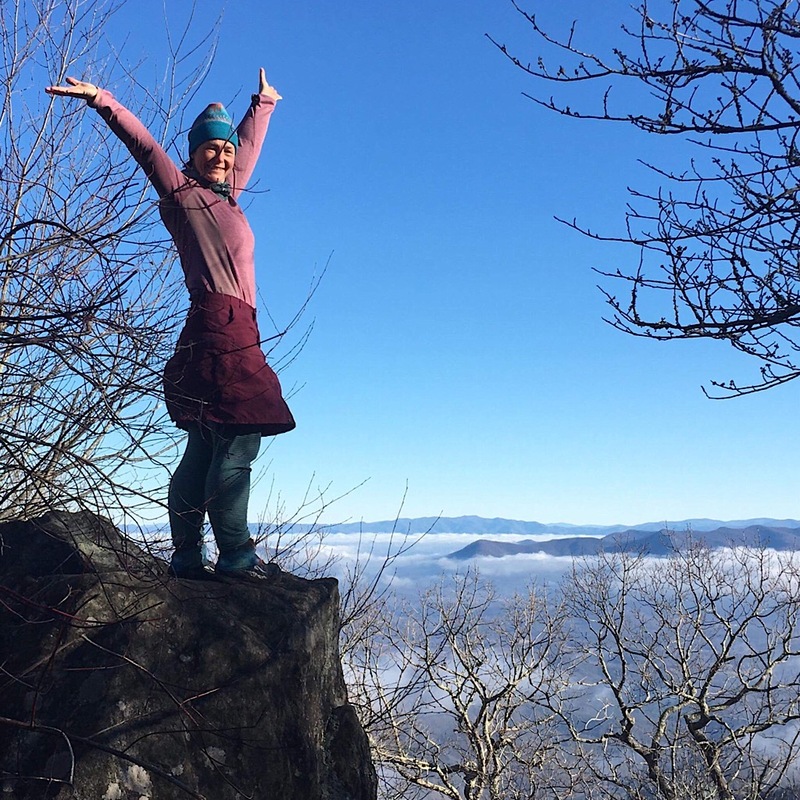 Arlette has done a lot of thru-hiking, but now that she’s back and ready for some work, some of you may choose to learn camp craft from her or request a backpack with her, to gain from her expertise. 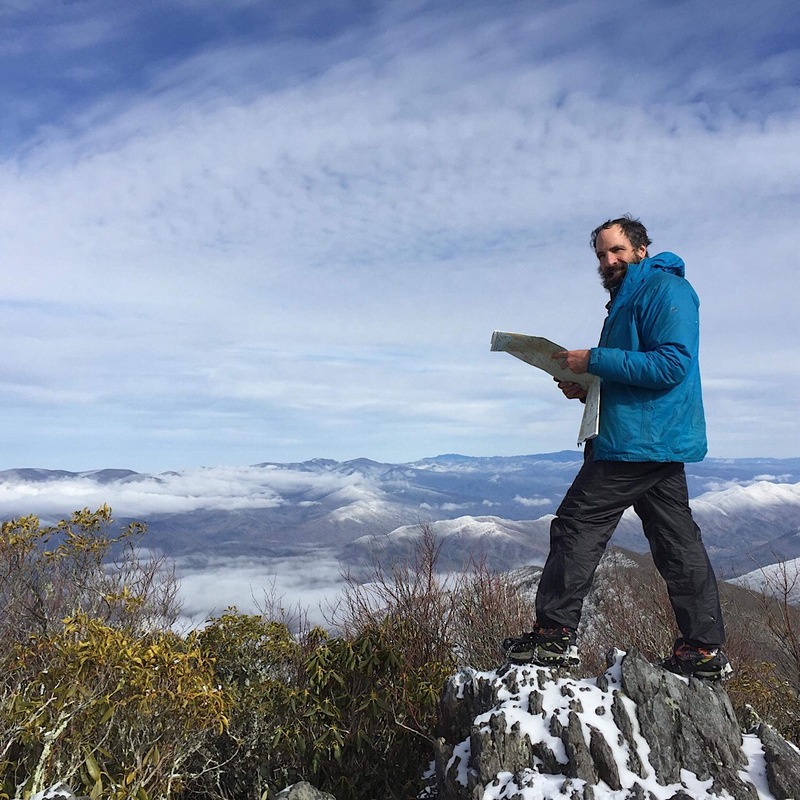 Speaking of thru-hiking, another of our guides, Bill “Science Guy” Robichaud, is off to start the Appalachian Trail in a couple of weeks. Excitement is in the air. Good luck, Science Guy! We’re rooting for you.